B+W "Käsemann" polarisers are manufactured with a polarising foil of extremely strict and exacting specifications. In terms of colour neutrality and extinction capability, the foil quality is ideal. 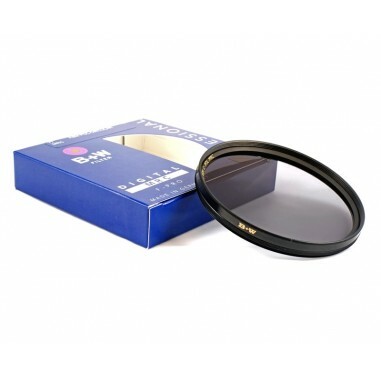 Furthermore, the glass used for this filter is sanded and fine-polished for excellent optical quality and the advanced cementing technique prevents delamination in environments of high humidity. 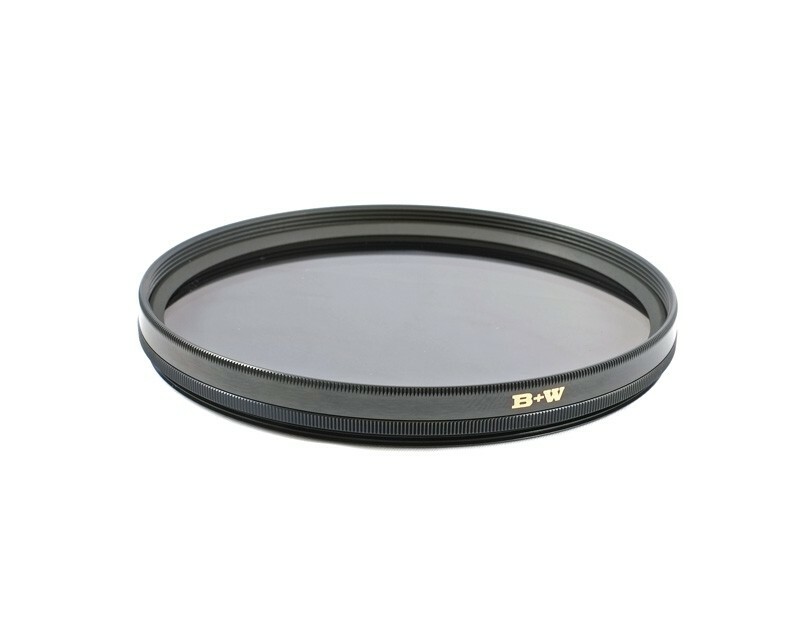 This filter does not impair the image sharpness of high-quality photographic lenses, which is particularly important in high-resolution digital cameras and aspherical tele lenses. Radiant white clouds against a deep blue sky or the deep colours of fall foliage don't happen by chance. 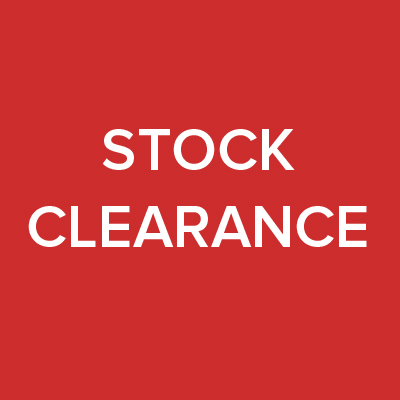 B+W polarising filters (polarisers for short) augment the purity of the intrinsic colours and increase colour saturation and are among the most important filters for analog and digital photography. Because the filter mounts rotate, the polarisation effect can be visibly controlled in the viewfinder or on the monitor display. Another effect of the B+W polariser is to reduce reflections from non-metallic surfaces such as water, glass, and glossy paint. Objects and people behind surfaces such as shop windows and car windshields become visible again – a fascinating image enhancement without image processing! 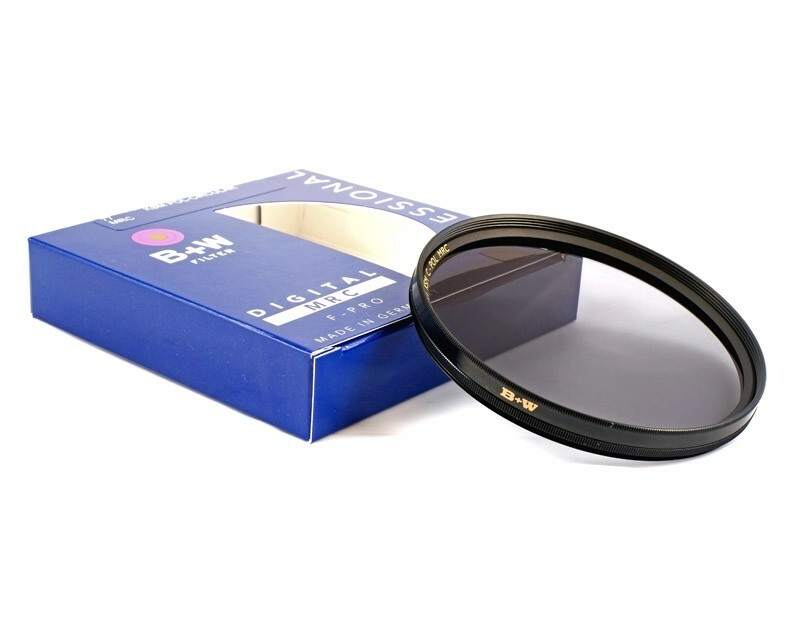 B+W polarising filters are circular polarisers which are compatible with nearly all modern cameras when beam splitters are used in the light path for TTL exposure metering or autofocus. Exposure errors are therefore avoided. The multiplying factor is 2 to 3, which is equivalent to 1 to 1.5 f-stops. The maximum polarisation effect is achieved in landscape photography when shooting at an angle of 90° to the sun. For an even effect in the picture, and because of uneven skylight polarisation, your focal length should not be less than 28 mm in 35 mm format. Generally speaking, with the help of a properly oriented polariser, reflections can be completely suppressed in an ideal situation. Here, the ideal situation means that the lighting and shooting angles are almost the same and correspond to the angle of maximum polarisation, usually 30° to 40°.